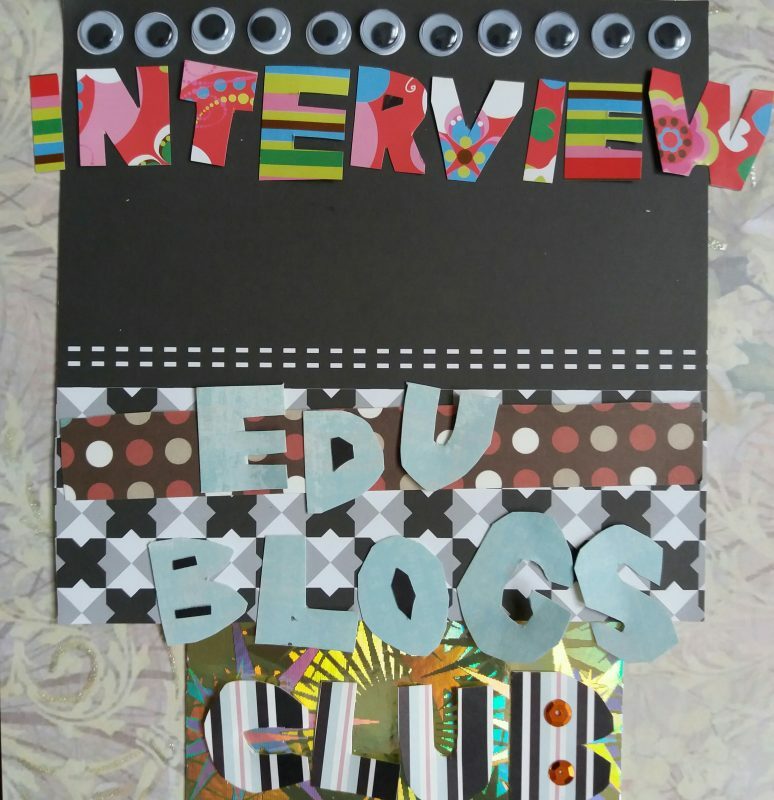 This post is part of EdublogsClub. This week’s prompt is interviews. This post is part of EdublogsClub. This week’s prompt is advice for new teachers. Obviously I’m not a teacher. I have been thinking about becoming one on and off for a decade. However, I have multiple fears that impact my ability to do this role and I have imposter syndrome just from being in academia, so teaching would be my current mindset multiplied by infinity. In the first year, you write the syllabus and have to adapt it as you go along. In the second year, you tweak it using the feedback and experience from the previous year. In the third year, you feel more comfortable because the course seems to work well. In the fourth year, the course is cancelled so you have to develop a new syllabus. These words stuck with me because they helped me realise that great teachers are also learning as they go along, and even they have nervous moments and doubts. So it’s OK for me to have them too. 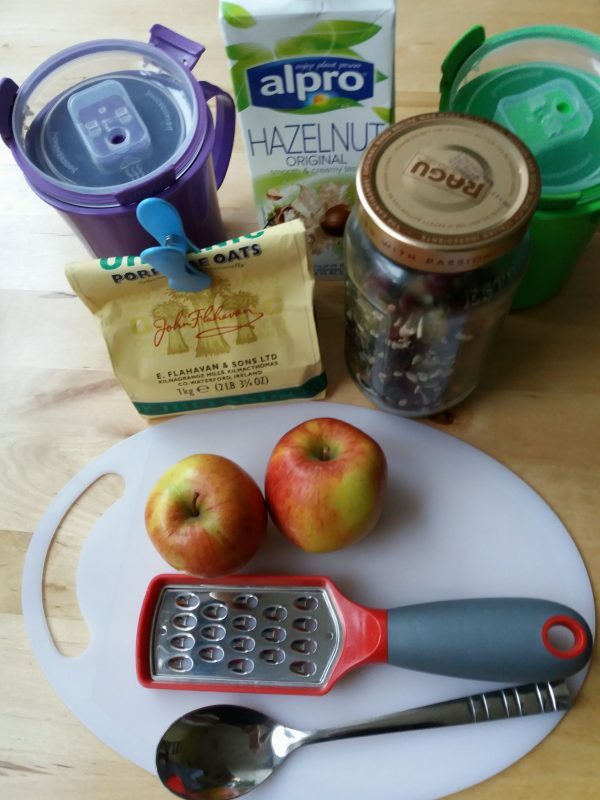 Lately I’ve been making bircher, it’s cheap and gives me a good start to the day. I find it fun to make too. Here’s how I make mine. 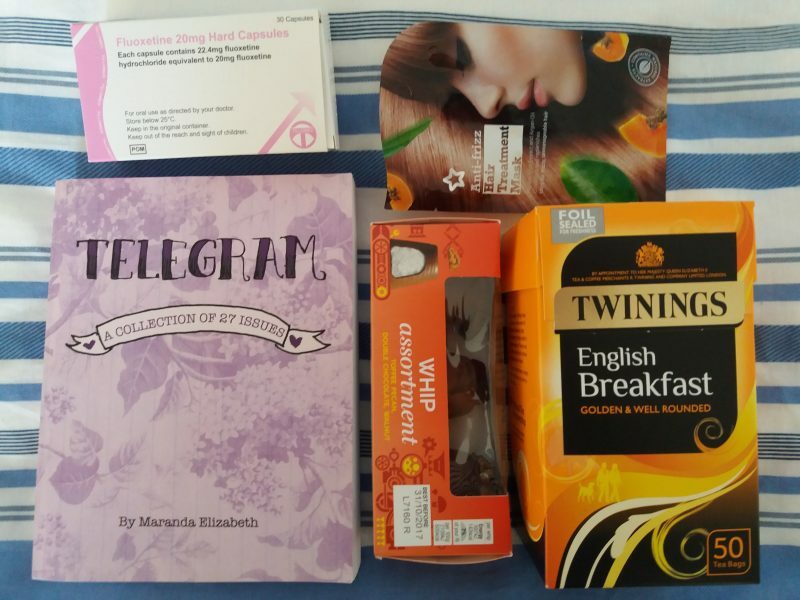 pictured: Fluoxetine, Telegram by Maranda Elizabeth, M&S chocolate whips, Twinings English Breakfast tea, Superdrug hair mask. I’m hoping for four different job interview invites over the next week, but I’m expecting them tomorrow. Eek! I’m normally against blogging about beauty products, but back when I lived in Brighton I could buy my favourite shampoo and conditioner in my local Oxfam (I miss you, London Road). The Oxfam in the town where I’m currently staying became a vape store this year. So, no Faith in Nature for me… or so I thought. I looked in the local supermakets and health food shops, but I couldn’t find what I was looking for. But then I tried Superdrug. Not only did they stock Faith in Nature, they also stocked the Brave Botanicals range. So I’ve discovered a new favourite scent and I’m a huge fan of the illustration on the bottles. Sweet Lavender is my current favourite. And it was on offer. Brilliant! I don’t really need to give my hair more body and bounce, but the smell of this shampoo is lovely. Creamy Coconut is more suitable for my hair type, and it does feel amazing. However, as a curly girl, I find I’m bored to death of coconut hair products. I’d like to try something different. Exquisite Damask Rose is my favourite illustration from the series. And I do love the scent. When I don’t use Sweet Lavender I use this. Ripe Kiwi also has a great illustration. I really don’t like my hair to be shiny as it looks odd with my curly hair. Like Razor Ramon. Anyway, I might post some hair updates in the future. I’ve been growing my hair naturally for a while, and now I’m trying to use gentler hair products when I do style. It’s interesting to see how my hair has change, or maybe I’ve changed? Regardless, I’m now embracing my bedhead and not relying on hats/bandanas so much.